Located between Milwaukee, Wisconsin and Chicago, Gurnee, Illinois is home to two major attractions drawing visitors to this area. Drive 40.2 miles north of Chicago, you’ll find the home of Gurnee Mills and Six Flags Great America. Rollercoaster enthusiasts come to ride Batman: The Ride, American Eagle, and the Whizzer, among many other steel and wooden rollercoasters. Not a rollercoaster fan? Gurnee Mills is the third largest mall in Indiana and is visited by more than 20 million people a year. With about 200 different stores and services, this Indian indoor shopping mall has plenty to choose from. 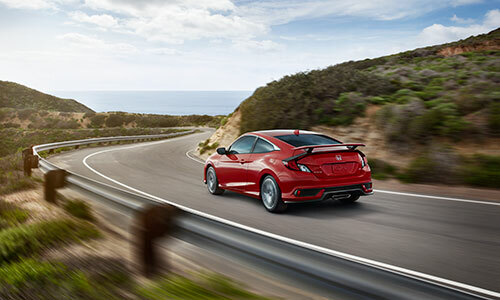 Passing through Highland Park, IL you’ll find our award-winning car dealership – Muller Honda. 15.3 miles south of Gurnee, our Honda dealership carries a large inventory of popular new Honda models in a variety of trims and options. Our used car dealership serving Gurnee stocks many low-mileage used cars, trucks and SUVs from all makes and models. For certified pre-owned Hondas in Gurnee, look no further than Muller Honda. These thoroughly inspected vehicles must meet strict guidelines and come with many new car benefits at a fraction of the cost. For certified auto repair and maintenance near Gurnee, IL, stop by Muller Honda. We have been serving the Greater Chicago area for over 40 years with honest, transparent pricing. Schedule your next Honda oil change, tire rotation, brake system flush, or any other vehicle service. Stop by Muller Honda on your way to Six Flags Great America or Gurnee Mills to have your vehicle inspected. We offer lifetime free service loaner cars with each new car purchase. Enjoy complimentary car washes, free Wi-Fi access, and our kids play room while your Honda is being serviced. Our veteran team will get you on your way quickly. Whether you’re headed to Six Flags Great America or shopping Gurnee Mills, the third largest mall in Illinois, Muller Honda near Gurnee is only a short drive away. For new Honda and used cars sales, financing, and leasing, visit our Gurnee area Honda dealership. Take I-94 W 26.8 miles north from Chicago or US-41 S 15.8 miles south from Gurnee and you’ll find Muller Honda in Highland Park. We pride car dealership on providing clear and transparent pricing along with delivering exceptional customer service. Stop by today, and you won’t be disappointed!